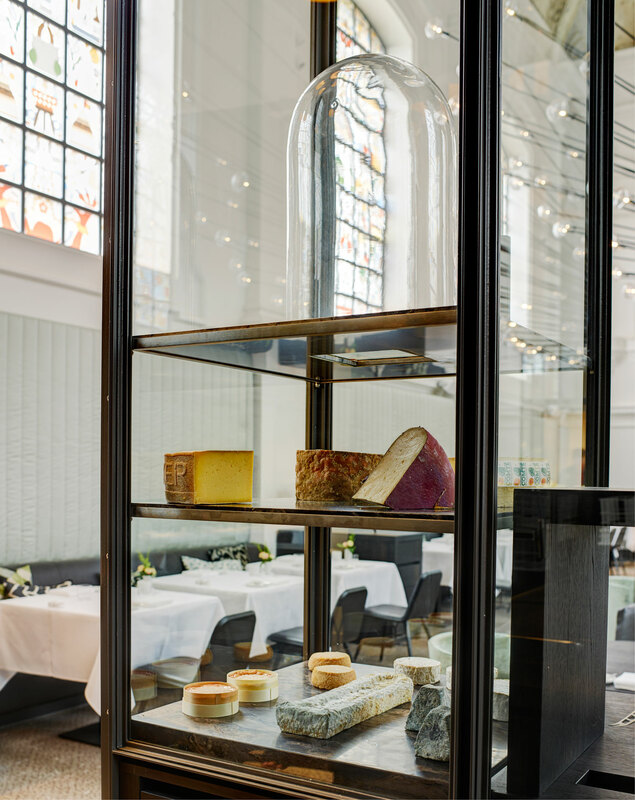 The Jane Antwerp; Divine Fine Dining by Piet Boon | Yellowtrace. 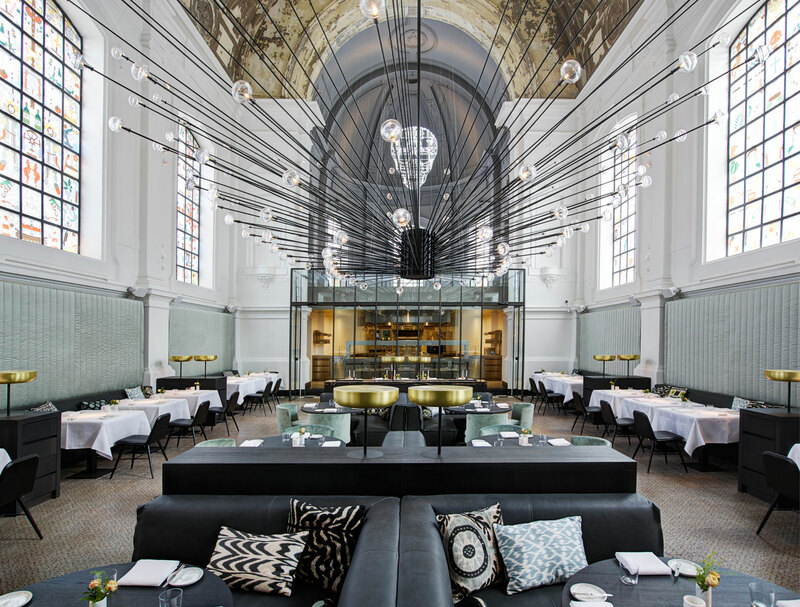 The Jane Restaurant in Antwerp // Divine Fine Dining by Piet Boon. 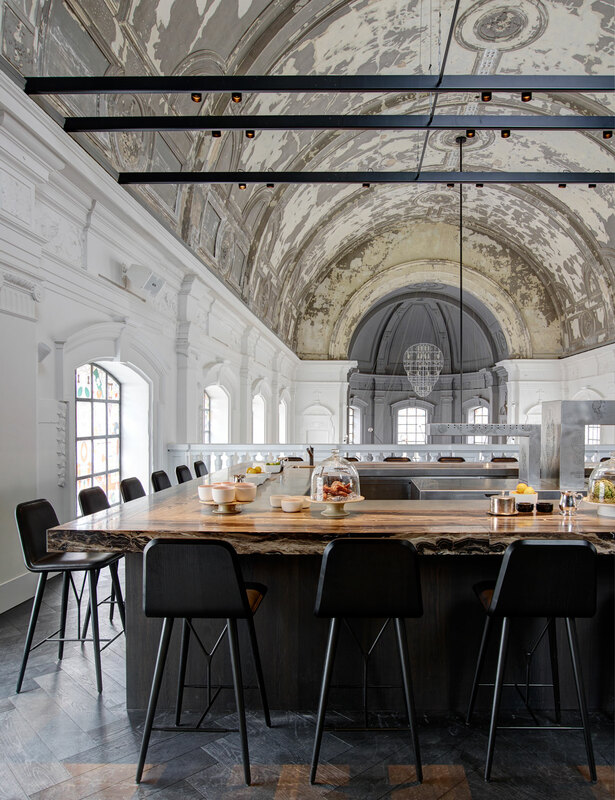 The Jane restaurant in Antwerp opened in March 2014, and consists of a main dining area and a bar. 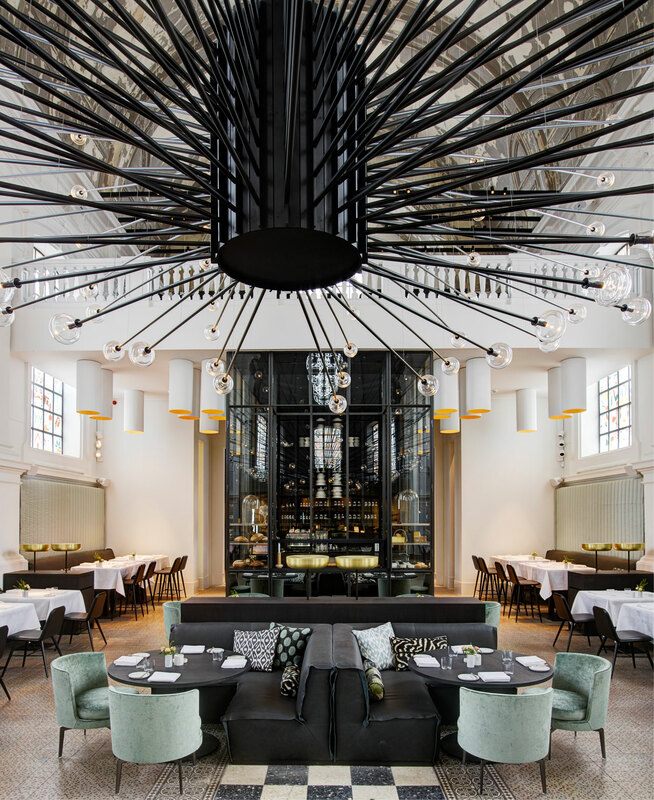 Where an enormous chandelier hangs in the centre of the dining room, consisting of a 150 lights splaying out on black metal rods from a central core. The Upper Room Bar is located on the upper floor, while a light installation in the shape of a skull overlooks the restaurant’s patrons from high above. 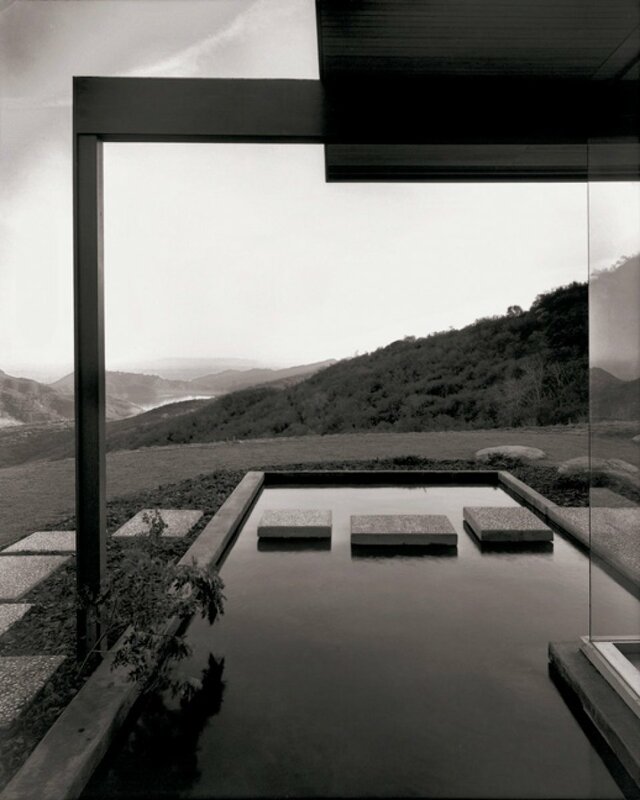 Photography by Richard Powers. 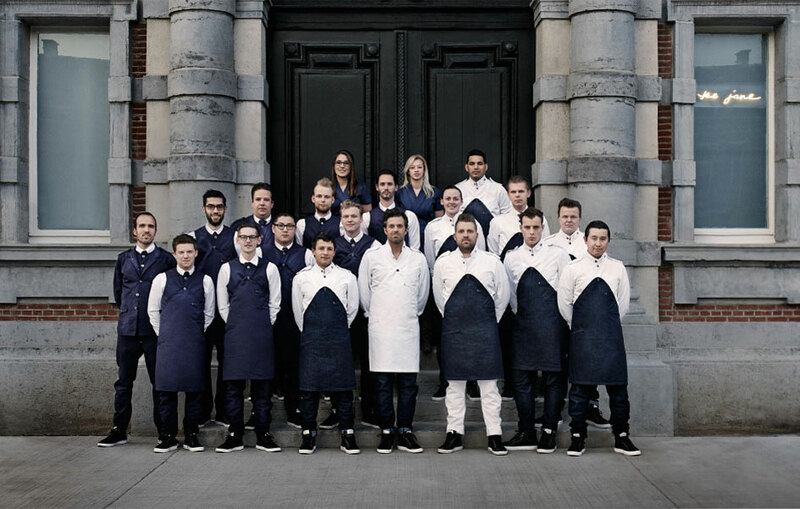 Tucked in the middle of the up-and-coming Groen Kwartier, The Jane Antwerp is the much anticipated establishment of star chef Sergio Herman and chef Nick Bril. 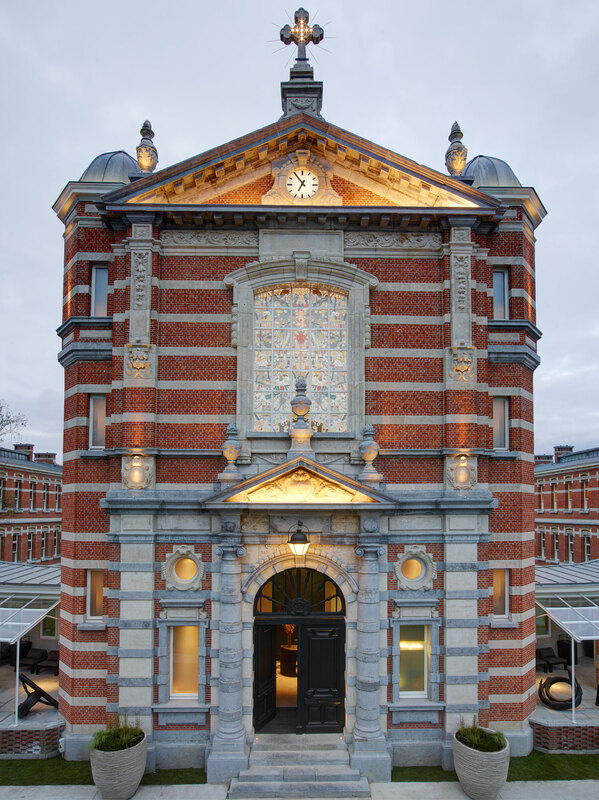 Housed within the chapel of a former military hospital, the restaurant’s interior was the charge of Dutch designer Piet Boon who enlisted the help of a number of extremely awesome collaborators on commissioned elements. “Jane is the name of a fictional woman with the same qualities as our restaurant. The Jane will be sensual, exciting and chic. It will have an attractive international air, but also a hint of darkness. 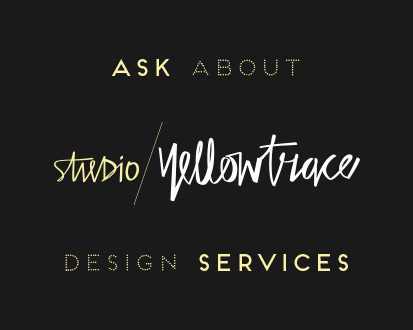 It will be tasteful and sophisticated, but also rock-’n’-roll. Like our perfect woman,” Nick Bril explains. The kitchen has been placed under the magnificent apse, where the altar used to be, and is encased within glass walls making the entire cooking process visible to patrons. The exterior of the former Chapel. Sketches courtesy of Piet Boon. Entered by the chapel’s huge and heavy doors, guests are met by a reception desk before being led around to the high-ceilinged restaurant where many of the chapel’s original details have been left intact – the ceiling and the peeling paintwork is preserved with a sealant. 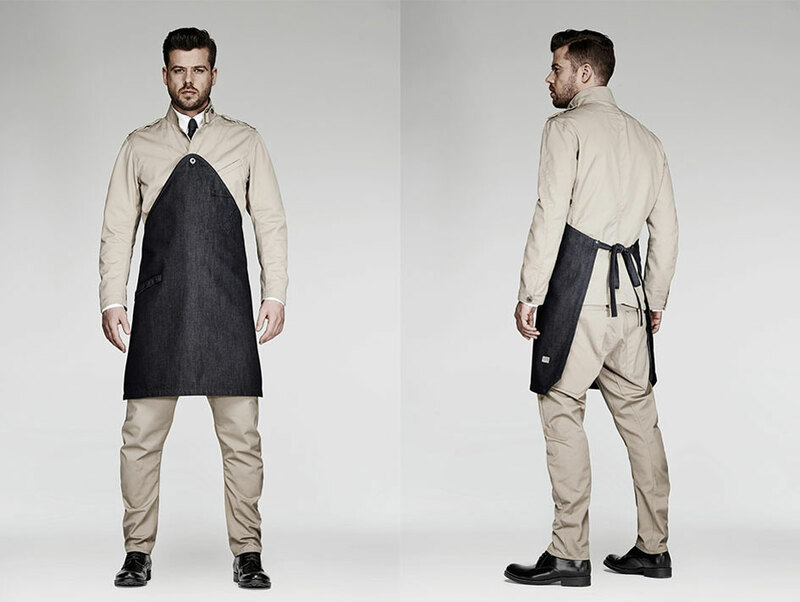 On March 20th G-Star officially launched the RAW Utility collection on the complete staff of Sergio Herman’s new restaurant, The Jane in Antwerp. 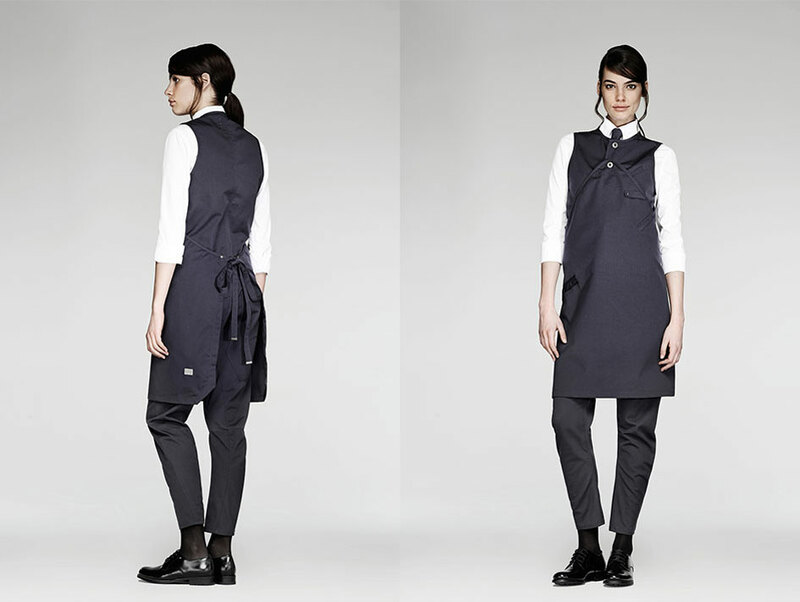 The collection will be the restaurant’s official staff uniform. Images courtesy of G-Star. 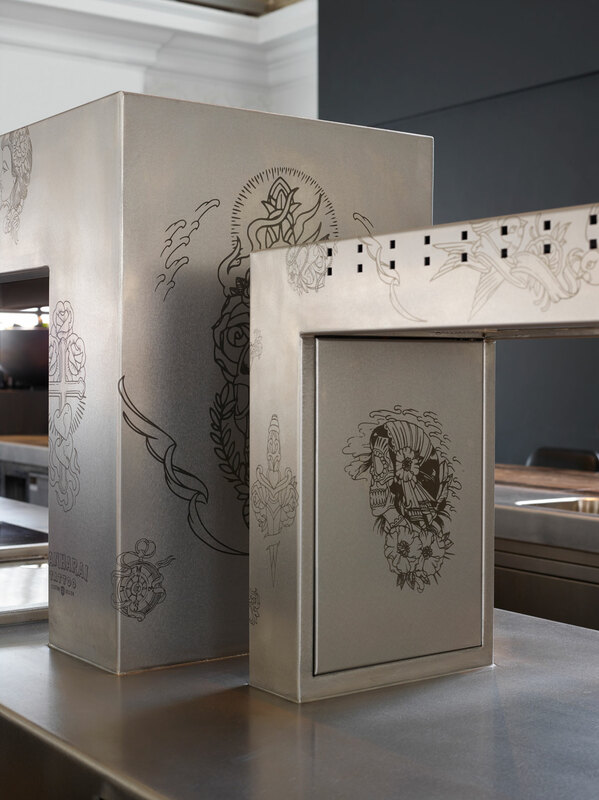 While the restaurant is made up of a number of discreet elements, there are a few standout bespoke pieces. 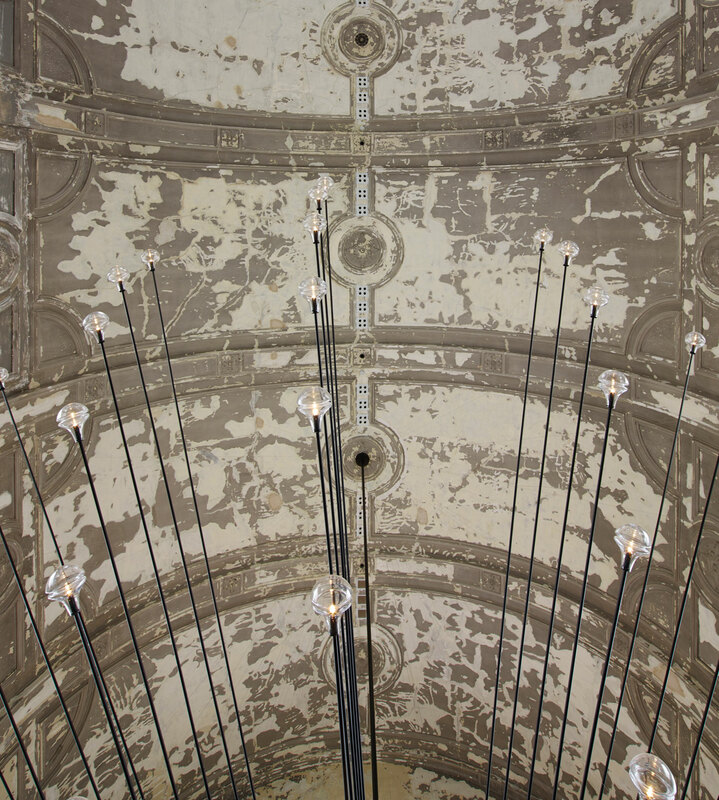 An enormous chandelier – created by Beirut-based .PSlab – hangs in the centre of the room. 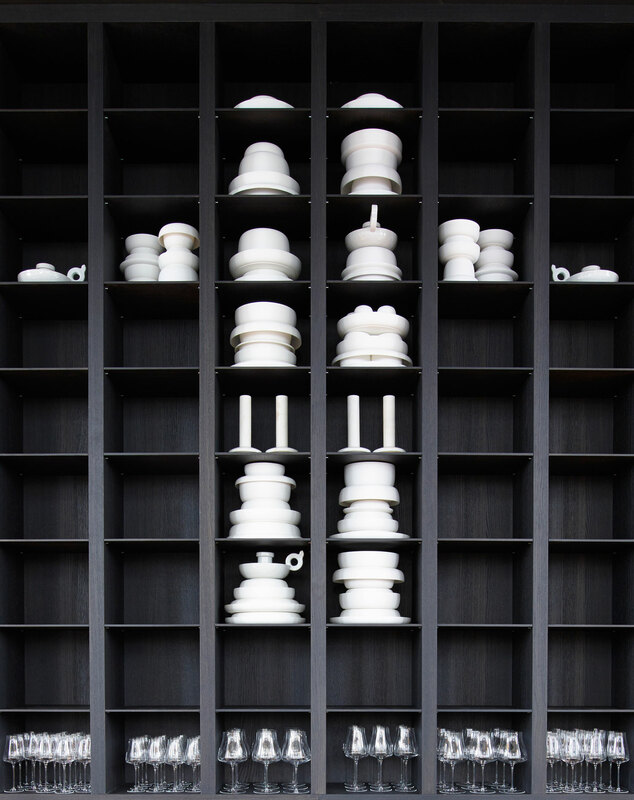 The impressive fixture weighs in at 800kg with over 150 lights splaying out on black metal rods from a central core. Stained glass windows that surround the room were illustrated by Studio Job. The 500 panels that make up the windows include contemporary motifs referencing food and drink. 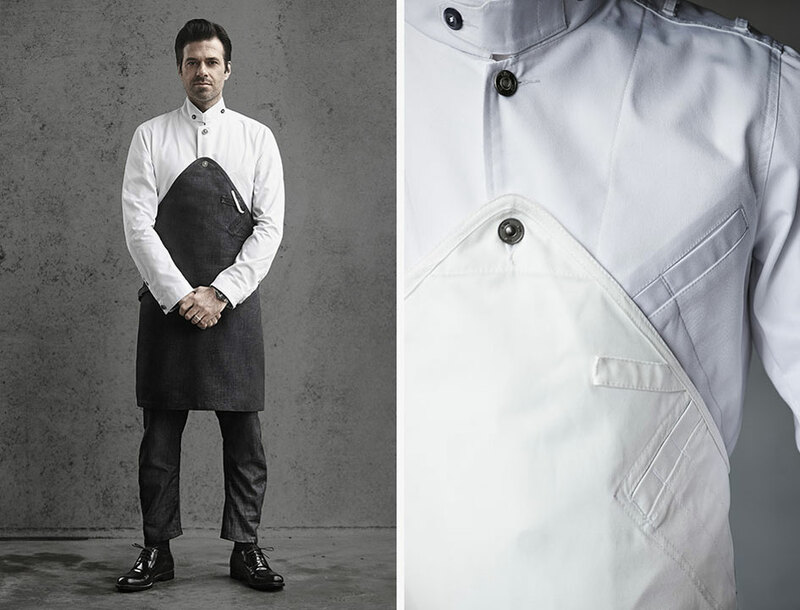 Identifying the ‘clear view and strong concept’ they had from the beginning as the project’s success, Boon sees it ‘visible in every aspect and detail, from the custom-made chef’s knives, to the staff’s uniforms by G-Star. Everything is in sync’. 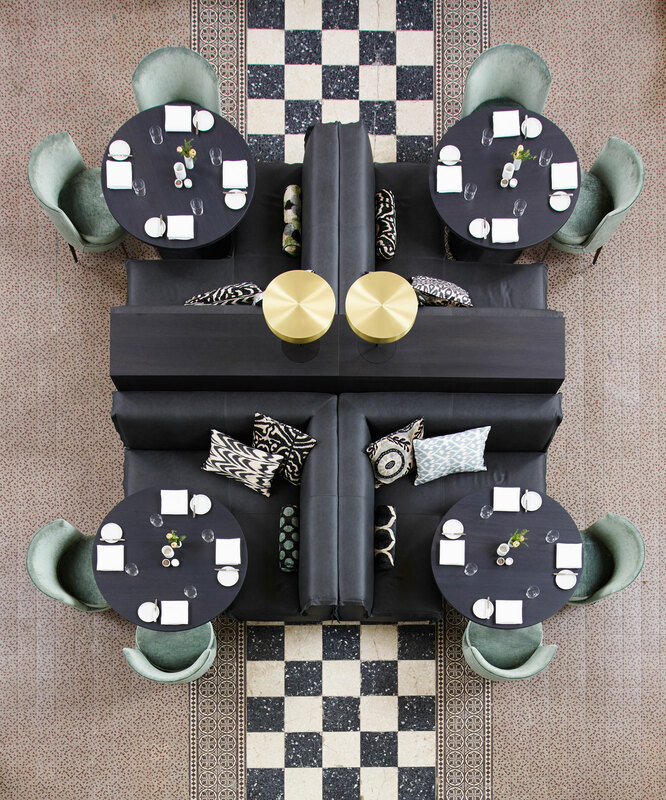 Combining exquisite tastes with such a stunning venue, The Jane Antwerp is bound to become a modern temple of haute cuisine, attracting pilgrims from around the world to its vaulted interior. 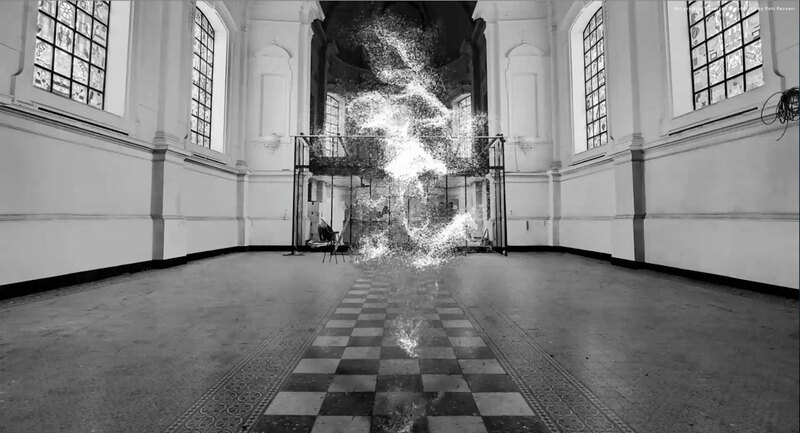 Video // Hermès Métamorphose by Vallée Duhamel. Oh my God…I am going there purely for the cheese!!! Hahahaha! I thought the same thing…. I’ll have it all thanks!